We are proud to be part of the great Martinsville and Morgan County communities. Deeply rooted in Indiana’s history, Martinsville is the flourishing economic hub along the I-69 corridor located 30 miles south of Indianapolis. Our business is located just a few blocks from this major highway. 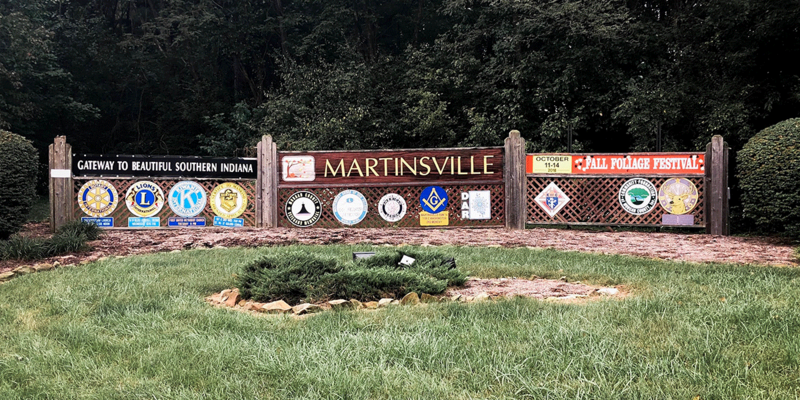 Martinsville is a wholesome community at the heart of south central Indiana with annual activities for citizens and visitors. Residents, businesses and visitors enjoy a quality school system, an abundance of spiritual options with the many churches available, plenty of recreational amenities at our city parks and a variety of fun, family-friendly festivals and events throughout the year. Morgan County also is a friendly place where you’ll find a laid-back lifestyle amid charming small towns, beautiful scenic vistas and winding rivers. Artistic creations live side by side with family farms. History of In-A-Pinch? Rent it! 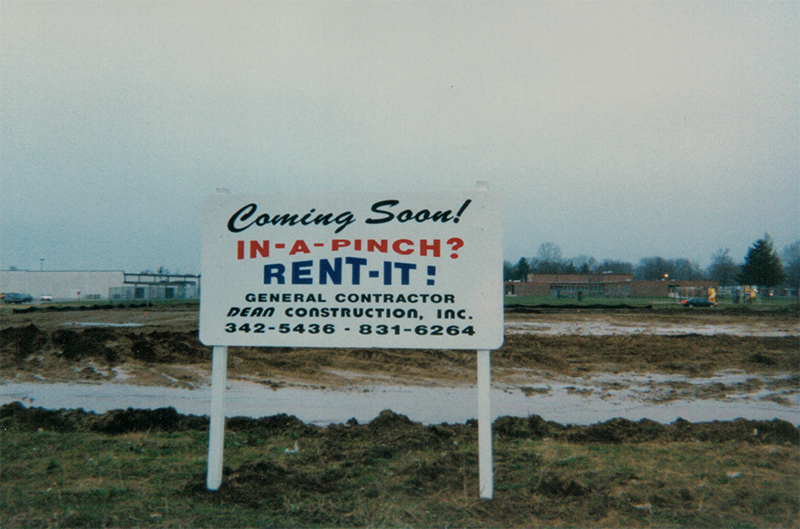 The roots of In-A-Pinch-Rent-It! go back to a hobby – buying, cleaning and selling used cars. 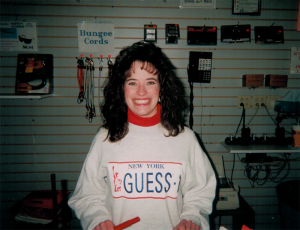 Our passion for that turned into a used car business in Greenwood, Indiana. 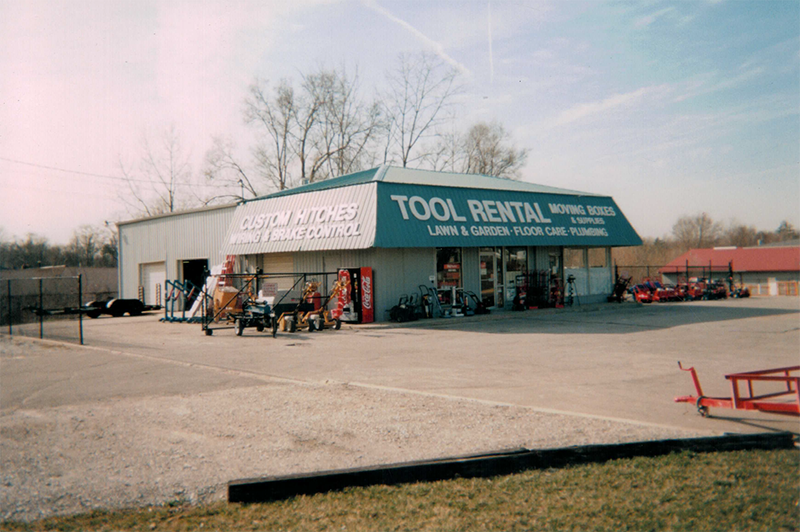 Becoming a tool and truck rental business evolved from there – especially after a similar business decided to close in 1989. 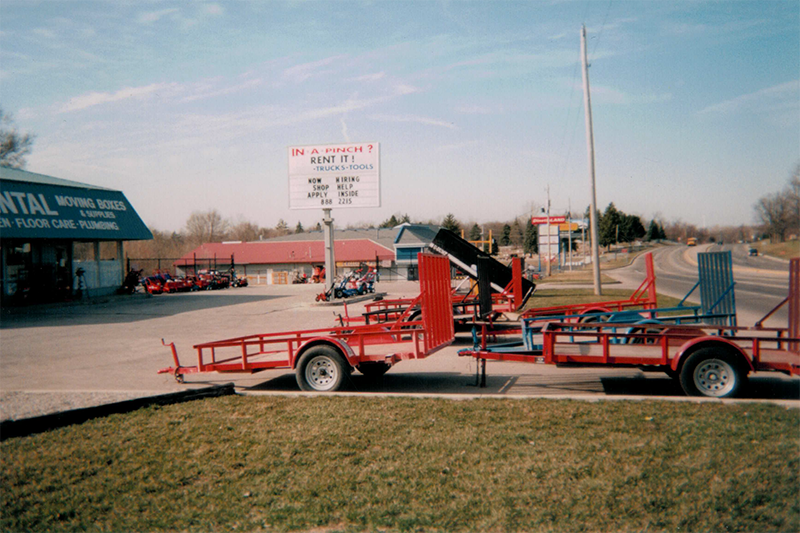 We purchased some of the equipment from that company and began offering them for rent – along with selling used cars – on the corner of U.S. 31 and Main Street in Greenwood. We purchased our first Kubota tractor (even though it was a pretty small tractor) and then – working with equipment dealers and distributors – added higher-valued equipment from brands such as Kubota, Bobcat. Caterpillar, Vermeer and Electric Eel. One day, we were brainstorming about how we could expand our business. We contacted the U-Haul Company to see if we could become a dealer. They brought us one of their biggest trucks – and we thought there was no way we would ever rent it. We did, and within a short time we were one of the largest U-Haul dealers in Indiana. U-Haul also offered homeowner tools, years before the DIY craze hit. There was no HGTV or DIY network on television. People seeking to rent trucks also asked if we rented certain tools. In the spring of 1985, we offered a rototiller, a push lawn seeder and a hand truck. We displayed them in front of our building and they were all rented by that Saturday. As the tool and U-Haul business continued to grow, we discontinued selling used cars. 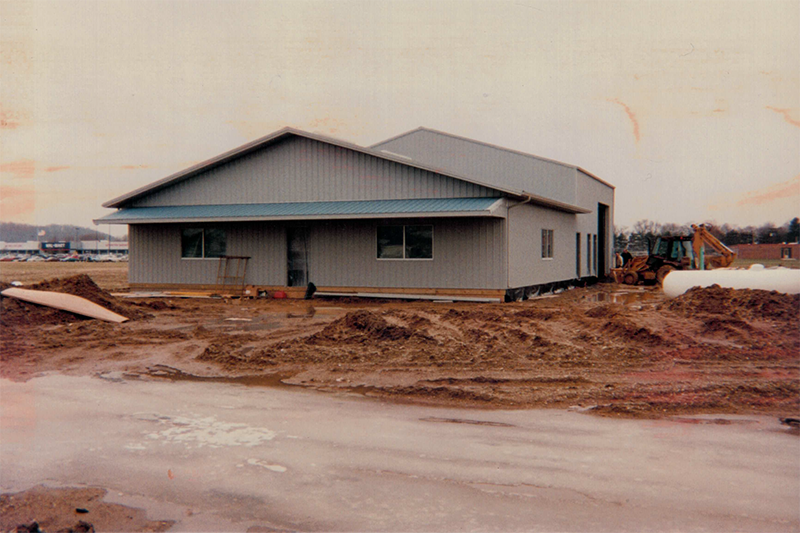 We opened our Martinsville location in 1997 and then moved our entire operation there in 2004. We are proud to be a three-generation family business and value our long-term and new customers. We are invested in our business and our communities, and pleased to help people with their home or contractor projects.